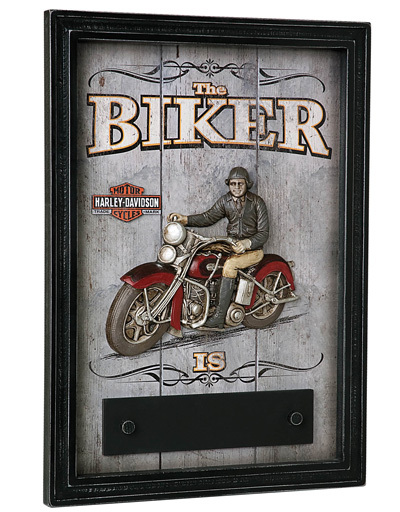 The H-D® Biker In/Out Pub Sign is truly unique with its custom sculpted 3-D Biker and switchable signs to indicate your biker status of either “Out Riding” or at “Home”. Chalkboard insert also lets you leave a custom message! Features black wood frame.